By Jeff Rose 4 Comments - The content of this website often contains affiliate links and I may be compensated if you buy through those links (at no cost to you!). Learn more about how we make money. Last edited March 2, 2013 . The Roth IRA conversion is still in effect. If you have been by my blog, you have probably seen that I have written numerous articles talking about the Roth IRA conversion. For 2010 there was a lot of hoopla about it, so I wanted to make sure that my readers and my clients had a good understanding to see if it actually made sense for them. The big questions going forward are, “Can you still do it? 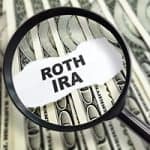 What is the tax treatment?” and “Does it make sense?” This post will answer these questions and explain the Roth IRA conversion rules of 2011. Can You Still Do A Roth IRA Conversion? How Do You Pay The Taxes? What If You Have Multiple Accounts? Does A Roth IRA Conversion Make Sense? Yes, you sure can. Prior to 2010, there was $100,000 adjusted gross income limit as far as those who could actually do the conversion.That means if you made more than $100,000 per year, you were on the outside looking in and couldn't partake. In 2010, they lifted those limits to where anyone and their brother can now do the Roth IRA conversion. What also made 2010 a bit more special is the IRS allowed a special tax treatment to where you could defer the tax payment over a three-year period. Going forward that is no longer the case. Please keep that in mind. In 2011, you can still do the conversion, but any tax that is owed is due in that year specifically, so you cannot defer for a two-or-three-year stretch. What does that mean exactly? That means whenever you convert, come April 15 of the following year when you actually file your taxes, that is when you pay the tax on the conversion amount. The “conversion amount” is the value of the account the day that you actually convert. Another question I get is, “What is the tax I pay?” or “How does that work exactly?” or “What is my basis from the conversion because I have been investing in my IRA for 15 years? How do I know?” The tax calculation is actually pretty simple. Your new basis becomes the amount that you actually convert. It doesn't matter how much you invested 15 years ago. What matters is what is the value today of the IRA when you convert. Let's say you invested $10,000 inside that IRA. It's now worth $45,000. The day that you convert, if it is worth $45,000, that is how much you would add as income for the year you convert. That will then determine what tax bracket you fall under and how much the appropriate tax will be. Pretty simple, but I would strongly suggest meeting with a tax professional or sitting down with your financial advisor just to make sure that you're clear on what the tax consequence is for you and also see if it makes sense. Another common question I get is, “I have all of these IRAs and 401Ks. If I only want to convert some, how does that work?” Remember, if you have an IRA at a brokerage firm, if you have an IRA at a bank, if you have IRAs spread out everywhere, the IRS looks at all your IRAs as one. So, if you're only trying to convert a small portion of that, that is okay, but the big factor that comes into play is if you have a nondeductible IRA. Meaning that, if you contributed to traditional IRAs after taxes so you didn't get that tax deduction, the IRS is not going to just let you convert the nondeductible IRAs. You are going to have to pay some type of prorated tax on that amount. That, I confess, does get a little bit confusing. If you go my post that discusses the Roth IRA conversion tax rules, it outlines a couple different scenarios that can walk you through to see how much you'd have to pay with those taxes. One last point on the IRS and how they view IRAs all as one; keep in mind the other option of converting it is not just IRAs but old 401Ks or any type of old retirement account. As far as the aggregate total, the IRS does not look at the 401K as part of that sum. So if you have some IRAs that maybe you don't want converted and you don't want that to be used into the conversion calculation, if you have the ability to roll those IRAs back into an old 401K or into your current 401K you can do so. Just another neat little trick that some people may or may not know, so hopefully that is helpful. Lastly, the big question that I always get, and I've got this probably at least a thousand times this past year, “Does the Roth IRA make sense for me?” Here's the thing; it depends. Call that the cop-out answer, but honestly it truly, truly depends. 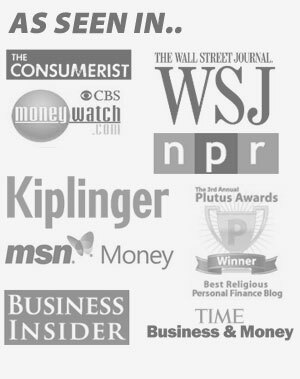 I have analyzed and analyzed several different clients who were interested in doing the Roth IRA conversion. It didn't make much sense for them mostly because they couldn't allow the growth tax fee with the Roth to really be a benefit to them or they didn't have the cash to pay for the tax out of pocket. Those are my two requirements if you are actually going to do the conversion. You want to be able to pay the tax out of pocket. You don’t want to pay for it out of the account. That basically defeats the whole purpose of doing the Roth IRA conversion. Those are a couple things to consider. I hope that answers your questions regarding doing a Roth IRA conversion. As you can see it, it's not as straightforward as one would think. Be sure to seek the counsel of a professional before you pull the trigger. But even if you do pull the trigger, rest assured that you can also do a “take back” and undo a Roth IRA conversion by doing what's called IRA recharacerization. Just remember that if you choose to reverse it, you have to do so before a certain deadline. Why Is A Roth IRA A Good Choice When Investing?